Do you need the processing power of Microsoft Word but don't have hundreds of dollars to pay for the Office package itself? Jarte may be your answer. It's a free word processor based on Microsoft WordPad's word processing engine. It's extremely fast and easy to use. In a way it acts more like WordPad on steroids, adding tons of useful features to the basic word processor. It's very portable - it can fit on a USB stick - and yet it can open any document compatible with Word and WordPad. Believe it not, Microsoft is continually upgrading the simple WordPad editing engine, although WordPad itself hasn't changed. never know it by examining WordPad. 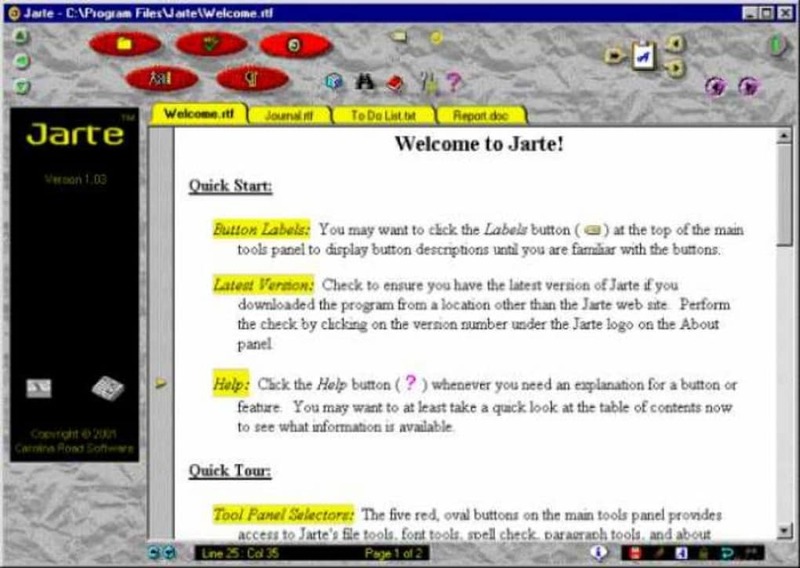 Jarte however takes advantage of these changes and has evolved to take advantage of the new useful features that Microsoft have added. These include tabbed document windows for easy access to open documents, larger buttons for the most commonly used functions, instant dictionary and thesaurus word look-up and a free spell check and text search tools that do not impose themselves on top of the text you are trying to edit. There are many new features in Jaxtr that make it a superb option for those that can't afford or access Word but need it's processing power. excellent simple word processor. excellent , easy to use , if a little quirky toolbar. Great for letters , producing tablets etc. Pros: easy to understand. What do you think about Jarte? Do you recommend it? Why?